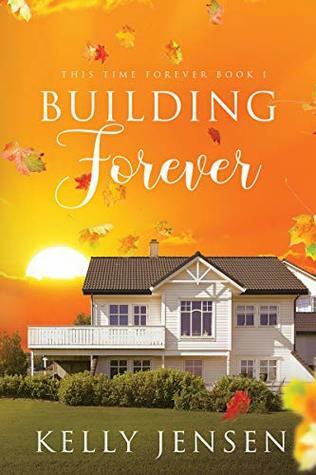 I received a copy of Kelly Jensenh‘s Building Forever through Netgalley. I finished this sitting in the waiting room of the ophthalmologist, hoping no one noticed I was getting teary. It was very sweet and they were tears of joy. I thought the author got a little didactic at times, at one point going so far as to have a character look up the definition of pansexual to ensure the reader knew it. But I also found so very much relatable in this book. The whole messy and contradictory idea that you can love your life and the people in it, but still mourn the life not lived is one that struck me dead centre. I also very much appreciated that there were no misunderstandings or pointlessly kept secrets. There were several times Jensen could have taken this over-trod path and instead opted to have a character be brave, honest and upfront. Similarly, Charlie didn’t agonize over his newly embraced identity. He was open and honest with himself and everyone else about it. I loved that and the characters for it. All in all, I call this a success. And considering romance without a trace of sci-fi or fantasy in it isn’t wholly my jam is really saying something. This entry was posted in books/book review and tagged book review, contemporary romance, m/m romance on January 14, 2019 by Sadie.